Hi, this is Galit Goldfarb, nutritionist, and medical scientist, and welcome to my blog where you will find great articles to help you transform your health quickly through practical lifestyle changes based on science. My articles will guide you, step-by-step, to lasting weight loss and better health for you and your family no matter your current situation. 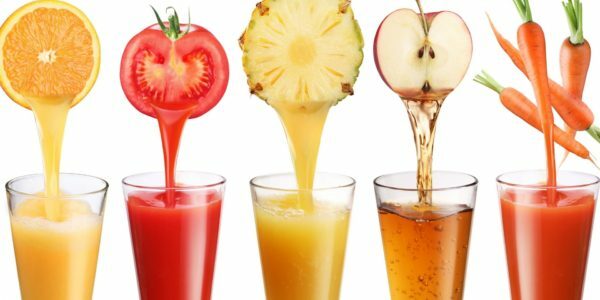 Today I will talk about fructose and the problems that come with juice consumption. 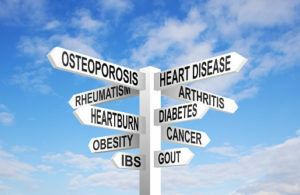 Chronic diseases are now a global epidemic! Heart disease, diabetes, and stroke have always taken the limelight when considering chronic diseases, but the fact is that most of these conditions start with faulty lifestyle habits that lead to a fatty liver which eventually leads to the other chronic diseases. Today, doctors are noticing this global rise in liver disease. The global rates of liver disease have more than doubled in the last decade. Prevalence of non-alcoholic fatty liver disease (NAFLD) is incredibly high with over 30% of the world’s population suffering from this disease. The highest incidence is found in the Middle East and South America. In the US, NAFLD now affects one in every 10 Americans. 25 percent of all Americans now have fatty livers. Liver cancer is one of the few cancers on the rise in the US. Another quite alarming statistic is that six million kids, which is 10 percent of all children in the US—have NAFLD. NAFLD is the leading cause of chronic liver disease in children and adults in the United States. It all comes down to our lifestyle habits. Previously, third world countries did not have very many incidences of this disease. All this has changed, and infectious diseases which were once their leading cause of death, are slowly taking back row seats while chronic diseases are replacing them in the front rows. So which lifestyle habits are causing this rise? It is mainly our drinking and dietary habits. When I say drinking habits, I am not only referring to alcoholic beverages, although these, when consumed in excess will ensure fatty liver disease. Other beverages have the same effect on our liver, but it seems that no one is mentioning this. These foods and beverages include processed drinks rich in sugar (both sucrose or high fructose corn syrup) and even fruit juices including 100% natural fruit juices! But before I get into the details, it is important to lay the foundation and explain a little about carbohydrates and sugar. What exactly are they? What are the different types of carbohydrates and sugar molecules? How do they affect our body differently one from the other? Carbohydrates are a macronutrient that is broken down to release energy. Carbohydrates are the body’s primary source of energy. Simple carbohydrates are made of monosaccharides. Monosaccharides are the simplest form of carbohydrates. They consist of one sugar. Examples of monosaccharides include glucose and fructose. Disaccharides are carbohydrates composed of two monosaccharides. They are formed when two sugars are joined, and a molecule of water is removed. For example, lactose, the sugar found in milk is a disaccharide (made from glucose and galactose). Cane sugar (sucrose) is another example, made of glucose and fructose. Polysaccharides are carbohydrates composed of 10 to up to several thousand monosaccharides bonded together in chains. Examples of polysaccharides include cereal grains (wheat, oats, barley, corn, rice…and their products), potatoes, tapioca, yams, legumes (beans, peas, lentils), etc. Glucose and fructose are two essential monosaccharides, commonly referred to as simple sugars. Your taste buds can’t quite distinguish between these two sugars, but your body can definately tell the difference. They both provide the same amount of energy per gram but are metabolized and used differently by the body. The most important monosaccharide is glucose. It’s the body’s preferred energy source. Glucose enters the blood where it circulates. Your body processes most carbohydrates you eat into glucose, either to be used immediately for energy or to be stored in muscle cells or the liver as glycogen for later use. Once carbohydrates are broken down into glucose molecules and reach the blood, the pancreas detects this and secretes the hormone insulin, which controls the uptake of glucose by your cells. Insulin facilitates the entry of about 80% of glucose into muscles, brain, blood and other tissues. The remaining 20% of glucose that enters the body reaches the liver. 90% of the glucose that reached the liver is converted into glycogen — which is stored in the liver for energy and less than 10% of the glucose that reached the liver is converted into fat. When your body needs more energy (less blood glucose is detected), a second hormone called glucagon is secreted by the pancreas. This converts the glycogen back into glucose, which is then released into your bloodstream for other tissues to use. Fructose is a sugar found naturally in many fruits and vegetables and added to various processed foods and beverages including soda and fruit-flavored drinks. Fructose is very different from other sugars because it has a different metabolic pathway and is not the preferred energy source for muscles or the brain. Unlike glucose, it does not cause insulin to be released. When glucose is consumed, and insulin is released, it sends a message to the brain telling us that we are full. It does this by stimulating the production of leptin, known as the satiety hormone which regulates hunger. This doesn’t occur with fructose. Unlike glucose, fructose is wholly metabolized in the liver, meaning that all of the fructose that enters the body and is absorbed, reaches the liver. 50% of the fructose that reaches the liver is converted into glycogen — which is stored in the liver, and 50% of the fructose that reaches the liver is converted into fat. So basically when you consume 1 cup of fructose, it is like you are drinking 1/2 a cup of fat. Sucrose, also known as table sugar, comes from sugar cane or sugar beets. Many fruits and vegetables also contain natural sucrose. When sucrose is consumed, the enzyme Invertase, a.k.a. Beta-Fructosidase separates sucrose into its individual monosaccharides – glucose and fructose. These sugars are then taken up by their specific transport mechanisms. The body responds to the glucose content of the meal in its usual manner (releasing insulin and allowing 80% of its uptake into the muscles, brain and other tissues and 20% enters the liver to produce glycogen and fat): and fructose uptake occurs at the same time. The body will use glucose as its primary energy source and the excess energy from fructose, if not needed to produce glycogen, will be poured into fat synthesis. Furthermore, fat synthesis is stimulated by insulin which is released in response to the glucose content of the food! Glucose levels in the blood lead insulin levels to rise, and the liver makes more fat. In fact, the production of fat in the liver triples when glucose and fructose are consumed together (as found in sucrose — table sugar). High fructose corn syrup is an artificial sweetener made from corn starch that has been processed to convert 55% of its glucose into fructose. High fructose corn syrup is among the sweeteners that mostly replaced sucrose in the food industry in the US, Canada, and Australia, due to its low price compared to table sugar (sucrose) and its easier accessibility. But as you can now see, the deleterious effects on health are the same if not slightly increased with the extensive marketing of this product. Consuming sucrose or high fructose corn syrup will slowly but steadily lead to a fatty liver just like when consuming excessive alcohol. Some of the fat in the liver is active fat, meaning it releases inflammatory factors that trigger the formation of free radicals and intrahepatic lipid peroxidation, which creates chronic low-grade inflammation in the liver. This rise in inflammation results in cell damage which leads to scarring of the liver (cirrhosis), which may eventually result in a dysfunctional liver or even liver cancer. Chronic low-grade inflammation is the culprit behind all of the current chronic diseases that 7 out of every ten people in the world are suffering and dying from on a global basis. The chronic inflammation of the liver also leads to insulin resistance whereby the tissues don’t respond so well to insulin. They become desensitized just as one can become desensitized to the effects of alcohol on the brain. So the body needs to make more insulin to help glucose enter the cells. If the pancreas does make enough insulin to meet the new requirements, then blood sugar levels stay in the healthy range, but when the pancreas fails to produce enough insulin, glucose will build up in the blood, and with time will lead to type 2 diabetes with all its deleterious effects on the body. Studies show that even after a week (7 days) of consuming fructose on a regular basis, there was a decrease in the binding of insulin to cells and this paralleled the increase in insulin resistance. Since insulin resistance is a distinctive feature of type 2 Diabetes, this means that these previously healthy subjects were now well on their way to developing type 2 Diabetes in just seven days of consistent fructose consumption. An unhealthy diet rich in sugar (sucrose or high fructose corn syrup) leads to the formation of fat in the liver – remember sucrose is made of one glucose molecule and one fructose molecule and a similar ratio is high fructose corn syrup. 100% of the fructose enters the liver, and 50% of it is made into active fat. The ongoing inflammation occurring in the liver also leads it to become insulin resistant. A fatty liver leads to insulin resistance which is associated with type 2 diabetes. So basically, consuming a diet high in sucrose and high fructose corn syrup is leading to chronic inflammation, fatty deposits on the liver, increased levels of cholesterol, a dysfunctional liver (which is responsible for over 500 essential bodily functions including immune system control, detoxification of toxins, digestion and much more) and slowly to chronic diseases that lead to disability and our death. What are the symptoms of an unhealthy diet that are likely to lead to chronic disease? Chronic inflammation, fatty deposits on the liver, increased levels of cholesterol, a dysfunctional liver (which is responsible for over 500 essential bodily functions including immune system control, detoxification of toxins, digestion and much more) and slowly to chronic diseases that lead to disability and our death. What are the symptoms of an unhealthy diet that are likely to result in chronic illnesses? (Every one of the following symptoms is enough to show that your dietary habits should be changed, ASAP). Unfortunately, not many people know or understand that their dietary habits are not in line with a healthy body, so here are a few symptoms that will help you notice if you’re on the right track or not. I’m sure you remember the legendary Apple co-founder and CEO Steve Jobs. He had pancreatic cancer and liver failure. During his life, he followed a mostly fruitarian diet on and off which seems to have influenced his health. Although he was very aware of consuming a healthy vegan diet, he fell for the wrong advice, advising to drink much fruit juice. Even if you put whole foods in a blender, they will have adverse effects on your health. Fruit and vegetable juices just aren’t a natural way to consume these foods. A juice extractor removes the tough parts of the plant, leaving the fructose and glucose. A blender, on the other hand, doesn’t take away the fiber content, but it does mechanically break open cells and exposes their contents which make them easier/quicker to digest. The food stays shorter in the stomach leading to a rapid release of glucose into the blood. Humans evolved to eat whole foods. The entire digestive process is something that we need for hormonal balance. Eating processed fruits and vegetables in the form of juices or shakes will lead you to feel full for a shorter period and become hungrier quicker. The blenders chop the whole food into smaller pieces. After they reach a certain size and can’t be cut into smaller pieces, cavitation bubbles take over, and the tiny exploding bubbles does the work. Studies show that the smaller the particle size of the food, the higher the glycemic and insulin response, leading to more fat tissue production, insulin resistance and, soon to follow, chronic disease. The slower the release of glucose, the more stable and sustainable the energy levels of the body. The best way to control the release of glucose is to consume whole grains and whole foods including whole fruits. The difference between white refined cereals and whole grains, although both are polysaccharides is that the entire grain version has a lot of fiber and micronutrients on top of its sugar content, making its digestion take longer thereby releasing glucose molecules more slowly. After a carbohydrate (polysaccharide) meal from refined (white) grains, a lot of glucose is released in a short time, which leads to a significant release of insulin. The more refined the carbohydrate, the faster the glucose is released into your blood. The insulin leads to fat production in the liver, and if there is fructose in the meal, a high amount of fructose will be made into fat. Whole grain carbohydrates and whole fruits provide a slower and more sustained release of energy than simple or refined carbohydrates and thus more stable levels of insulin release. The biggest problem is that sugar is very addictive for some of the population, and this is the reason we find it hard to kick the sweet tooth habit. Just like with alcohol addiction. The population, on average consumes 22 teaspoons per day, and we need to reduce that to no more than nine teaspoons per day to reduce chronic disease. The best way to overcome the addiction is to slowly remove processed sugars altogether from your diet and consume fruits separately from other foods. Minimize consumption of natural (unsweetened) fruits to no more than three portions per day. This advice is not an easy task to follow, but the more educated you become, the easier it will be to choose healthy food options on a regular basis. I always like to take a historical view and see what ancient human ancestors did, and what I have found is that while living in the rainforests of Africa with the apes, we consumed fruit when available. This regular fruit consumption allowed us to fill glycogen stores and to form subcutaneous fat to support us when food availability was low. But only when we moved to the savanna grasslands of Africa, do we see brain growth. Moving to the savanna was the time we started consuming grains and root vegetables and legumes in more abundance. When these carbohydrates are broken down into glucose molecules, they could supply a steady energy source for our brain allowing it to triple its size over a short period, in an evolutionary perspective. First of all, it’s important to know that the liver can completely regenerate itself within a period of 24 months, depending on the damage, and visceral (active) fat can be reduced to very low levels to prevent ongoing, chronic inflammation if a healthy diet is adhered to. These two factors once changed, will have a dramatic effect on your health. 1. Consume whole fruits in raw or dried versions. These are rich in antioxidants that help prevent free radical damage to cells. They are also rich in essential nutrients and nourish the body. 2. Eat whole fruits separately from all other carbohydrate-rich foods (have at least 1-2 hours before or after a meal before you consume fruits). 3. Consume fruits of the same type together in one sitting. You can variate fruit consumption throughout the day, but preferably not within a particular meal. As a sweetener I recommend stevia. All others have a mixture of fructose and glucose and do not have any fiber. Some do have small amounts of micro-minerals which can make them better options, but if you want to steer clear of unhealthy sugars, focus on eating the real deal: whole fruits or dried fruit versions (no more than three fruit portions per day). You can also find freeze-dried fruits which are very sweet and tasty as well. Recommendations 4-6 above are very critical since these foods are only metabolized by the liver and are not regulated by insulin, and all the excess energy will form fat.